I’ve been working with Leila Johnston on a new thing. 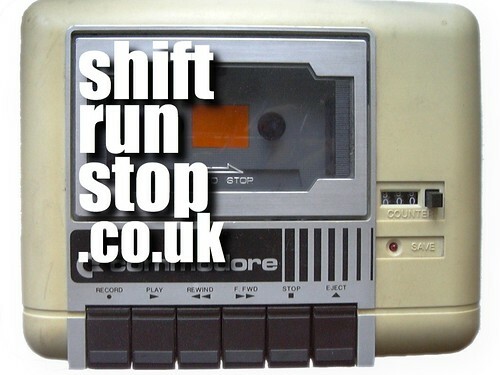 It’s a fortnightly podcast called Shift Run Stop and as she explains it’s “an ambient soundscape sort of production, an undulation of chatter and noise, ideas, games and food”. Editing it is a lot of fun, as are the weekly recording sessions. It lives at shiftrunstop.co.uk and in iTunes for your subscribing pleasure. Hope you enjoy it as much as we do. Hi Michael. Glad you’re enjoying Shift Run Stop. I’m really enjoying making it. The track we’re using with the generous permission of the band is ‘In Computers’ by Robyn Wilder and her band Bambino Special. It’s great isn’t it? You’ll find a bit more info, and a link to the MP3, in the comments on this post.